Technology affects our everyday lives in numerous ways. Over the years, it has made our lives a lot simpler than it used to be. But like everything else, the benefits of technology also have their own flip side. Sometimes, being aware of the harmful effects of technology may help us to improve a particular situation and lead healthier lives. With summer just around the corner, most of us prefer to spend our time inside air-conditioned rooms, as it soothes us and helps us to work efficiently. But aircons can also have some drastic effects on our health. Fortunately, you can minimize and even prevent these harmful effects with efficient use of air conditioners. Following are some of the factors associated with inefficient use of aircons, their effects on our health, and subsequent solutions to minimize these effects. 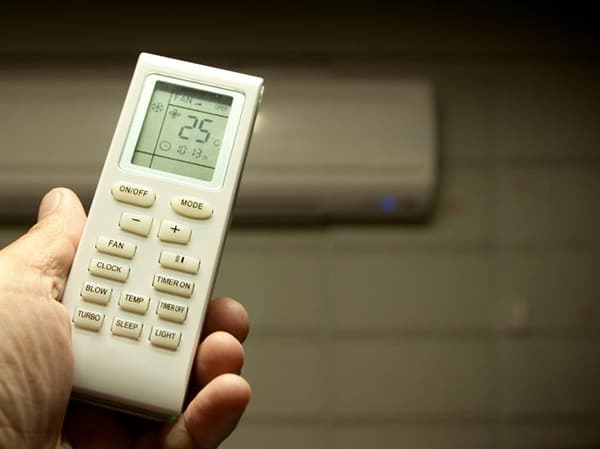 On hot summer days, it may be tempting to set the air conditioner to a temperature below the 20 °C mark. But when you come into such an air conditioned room from outside (especially in tropical regions where outside temperatures vary around 40 °C), your body is subjected to stress due to sudden drop in temperature. “We see patients who say they went to the malls or their offices and it was extremely cold. Eye infections, respiratory infections and muscular spasms are caused by this change in temperature,” ~ Dr Aamerah Shah, a primary care specialist at the American Hospital Dubai. To protect yourself from such harmful effects, do not turn on the AC as soon as you come from outside. Initially let it operate in fan-only mode. After some time, set the room temperature close to that of the outside, and gradually bring it down. The room temperature should be maintained at the highest setting that is comfortable for you. It is recommended that you set the temperature above 23 °C. Air conditioners are meant to make you feel comfortable in summer, not to artificially induce the feeling of winter. In addition to protection against ailments, these techniques will also help you to save energy. Lower the temperature difference between internal and external environments, lesser is the energy required by an aircon to regulate the room temperature. Humidity is the amount of water vapor present in the atmosphere. Air conditioners also dehumidifies the air in addition to lowering the surrounding temperature. Low humidity levels may cause dry mouth, cracked lips, skin dryness and even dehydration in some cases. Skin cells may die due to lack of moisture, causing itchy, red and flaky skin. It may lead to dryness of the scalp, which causes hair damage (such as hair fall, split ends, etc.). Dry air may also cause itchy eyes, sinus and respiratory problems, bloody noses, allergies and other drastic effects. Low humidity in air conditioned rooms may dry out moisture from your body. Thus when you are exposed to heat after being in an air conditioned room for a long time, sweat will cause your body to lose more water. As a result, your body experiences dehydration, giving rise to symptoms like thirst, dizziness and irritability. Some air conditioners have built-in humidity control features that allow you to control humidity along with temperature. If you’re about to buy an air conditioner, go for one that includes humid control. On the other hand, if you already have an air conditioner that does not include humid control, you might want to go for standalone humid control devices. Or, if you don’t want to invest more, a DIY approach can also help you to increase humidity levels in an air conditioned room. Keep some water in a container somewhere in the room. When the air conditioner pulls out the air from the room, some water will also evaporate from the container surface, which increases the overall humidity. 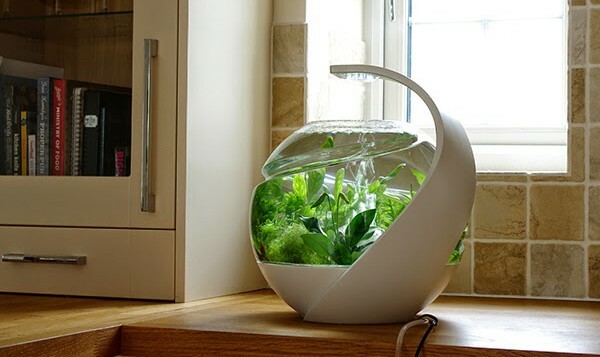 Water stored in decoration items, such as aquariums, pitchers or plant pods can also aid in the humidification process. Additionally, ensure that you drink lots of water from time to time. This will help you to maintain the moisture content in your body and avoid the risk of causing dehydration. Air conditioners absorb humidity and blow fresh air from the outside. Over time, some of the moisture that is pulled into the AC, get condensed and collect within the internal corners and the air conditioner coil. As the AC cycles on and off, the inside of it gets damp. This damp and dark environment serves as a perfect breeding ground for molds and bacteria. Once the bacteria / mold starts forming, the air blown from the AC is contaminated with these germs, as most air conditioner filters are usually unable to contain them. Mold and bacteria formation in air conditioner coils may cause one or more of the following problems: Foul smell, increased allergy risks, increased risk of air-borne bacterial diseases, decreased efficiency in air conditioner, higher power consumption, etc. You can use some naphthalene-based air freshener near the blower and air vents of your air conditioner. To prevent bacterial growth, it is recommended that you clean the internal filters of your air conditioners at regular intervals. You can also invest on air conditioners that include built-in air purifiers. Keep it cool naturally: There are several measures you can take to ensure that your room temperature stays low throughout the day, regardless of AC use. If the room is exposed to extreme sunlight, use window shields or cover openings with cloth. Use ceiling fans alternatively with your air conditioner. Fans can circulate air throughout the room and helps to bring down the temperature faster. Moreover, moving air generally feels cooler than still air. Maintenance is a must: Over time, air conditioners tend to accumulate dirt and dust, which reduces its efficiency and may cause it to consume more power. To ensure proper functioning, you should clean or replace aircon filters on a monthly basis. Additionally, try to keep the coils in the exterior air conditioning unit free of dirt, grass clippings or leaves. It is also recommended that you service the air conditioning unit at least once in a year. And if it’s more than 10 years old, the best option is to get a new one as it is likely to consume much less power compared to your older AC. Note: Replacing your old AC will also help you to get the latest benefits of technology. Technology has advanced rapidly over recent years and a lot of eco-friendly and power efficient solutions have been implemented in home appliances that we use everyday. For example, the refrigerant used inside the AC coils used to contain CFCs, which has a high potential to enhance greenhouse effect. 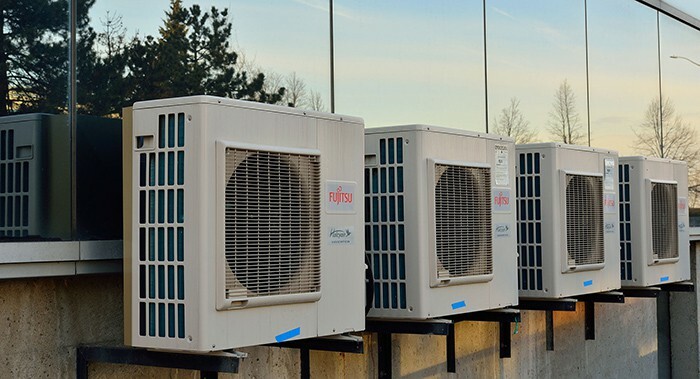 Modern air conditioners use HFCs and HCFCs as refrigerants, which are environment-friendly. If you know of any other ways to combat the various ill effects that air conditioners bring along, let us know in the comments below. Like this article? Get more like this in your Inbox by subscribing to our newsletter.